Updated: with EF Core 1.1 and 2.0. Implemented in EF Core 2.0. Will be available in a future version. For now, we need to use eager loading (Include). Implemented in EF Core 1.1. Currently it falls back silently to LINQ to Objects, meaning, brings everything from the database and groups in memory. Will be available in a future version. For now, use plain SQL. 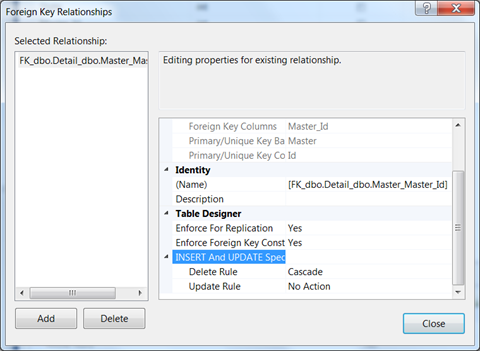 The ability to do queries involving Date/Time operations (DbFunctions) and common SQL functions (SqlFunctions) in LINQ queries is not supported now. Will be available in a future version. Will be available in a future version. For now, we need a middle entity and table. Will be available in a future version. Database initializers Database initializers Dropped. Automatic migrations Automatic migrations Dropped. ObjectContext (Entity SQL) Entity SQL Dropped. Model first approach Model first approach Dropped. Data Annotations validations The ability to perform data annotations validations before saving changes Dropped. Please let me know if you think I missed something! See Microsof’t comparison of Core and pre-Core versions here: https://docs.microsoft.com/en-us/ef/efcore-and-ef6/features. For the most up to date roadmap, please consult the EF Core roadmap: https://github.com/aspnet/EntityFramework/wiki/Roadmap. 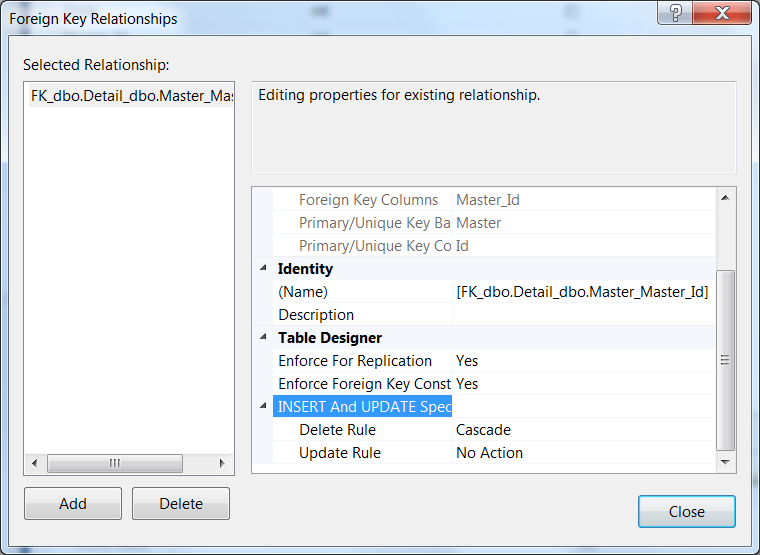 This is the second in a series of posts about missing functionality in EF Core. You can find the first here. Lazy loading: entities would be loaded when and if they declaring property was accessed. Entity Framework Core doesn’t include (yet) the explicit loading and lazy loading mechanisms. Lazy loading is not included because EF Core does not generate proxies for the entities it loads, and I guess nobody bothered to implement explicit loading. Well, that’s exactly what we’ll do here! In this case, the path p => p.Blog is needless, because a Post only belongs to one Blog. A similar approach can be used to load explicitly other kinds of relations (one to one and many to one).